How many Polaks does it take to light a Menorah? 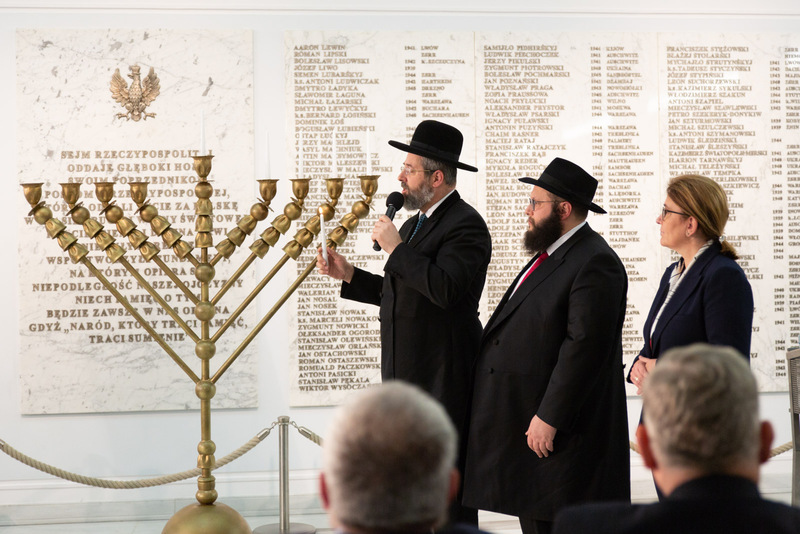 Poles deny a menorah exists and legislated for it to be illegal to call them out on it. They need to bring an Israeli Jew to light it. Polish Parliament is appropriately abbreviated p-p.
A Bais HaMikdosh menorah as documented by the Rambam. The Chief Rabbi of Warsaw deferred to the Chief Rabbi of Israel.